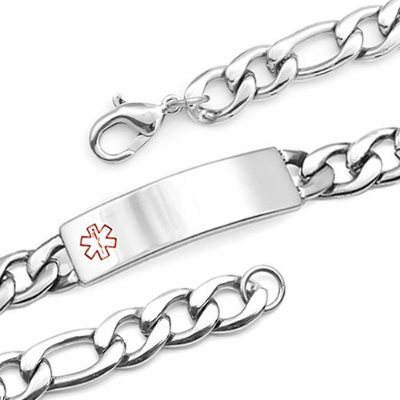 Includes free black laser engraving - This bracelet features a handsome stainless steel figaro links (long oval links and circular links) with stainless medical tag and red outlined medical symbol. Both front and back may be engraved with medical and/or emergency contact information. No further discounts on this laser engraved product. RESIZING NOT AVAILABLE. 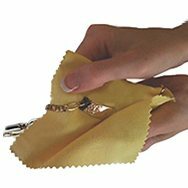 Wrap a soft tape measuring around the wrist. DO NOT Order if your wrist size is not here! Please enter engraving in Capital Letters and leave spaces between words.